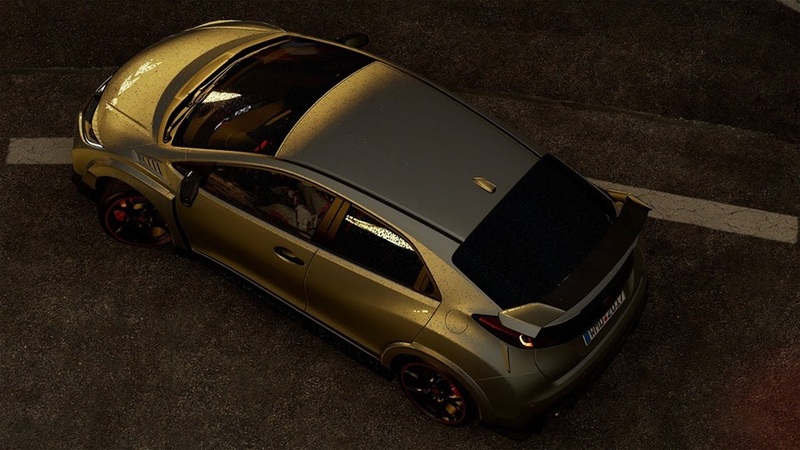 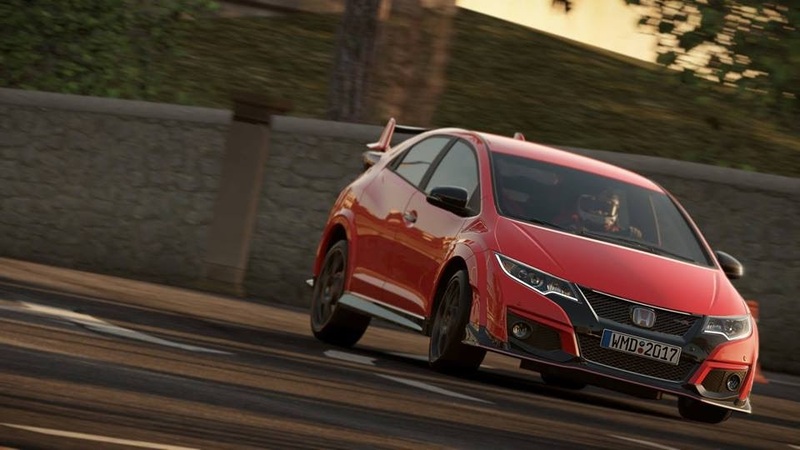 Project Cars 2 Season Pass holders will also get the Motorsport Cars Pack as a bonus exclusive and it contains four special vehicles. 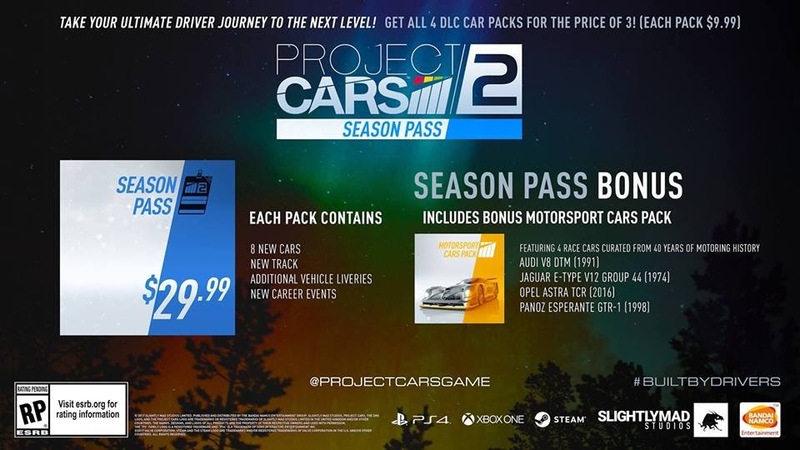 The Season Pass represents a 25% savings over buying all four packs individually.The Season Pass. 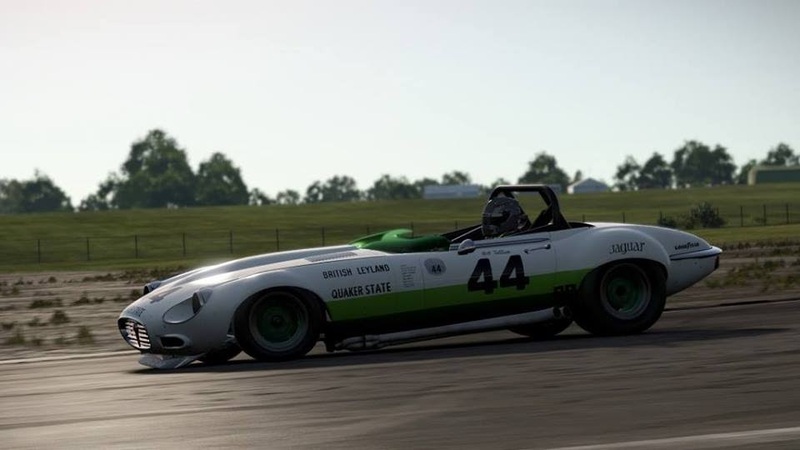 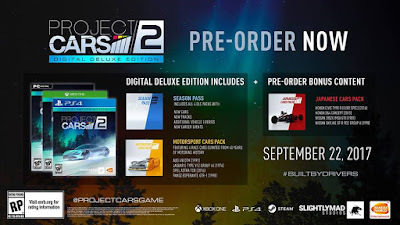 Priced at $29.99, it’ll include four yet-to-be-revealed DLC car packs, each containing eight new cars, a new track, additional liveries and new career events. Digital Deluxe Edition: Includes the full game, Japanese Cars Pack, all Project CARS 2 Season Pass content (as mentioned above) plus the Season Pass bonus exclusive Motorsport Cars Pack. 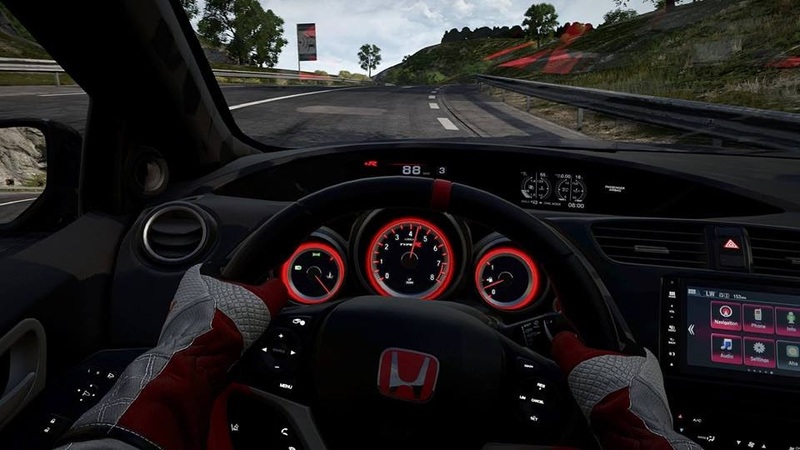 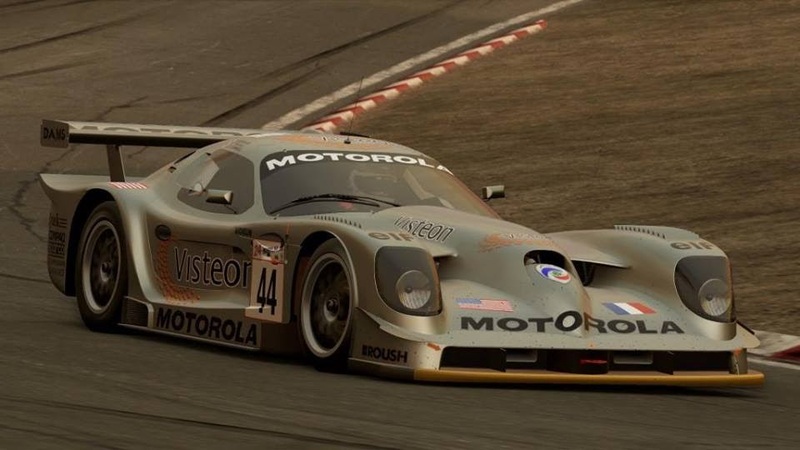 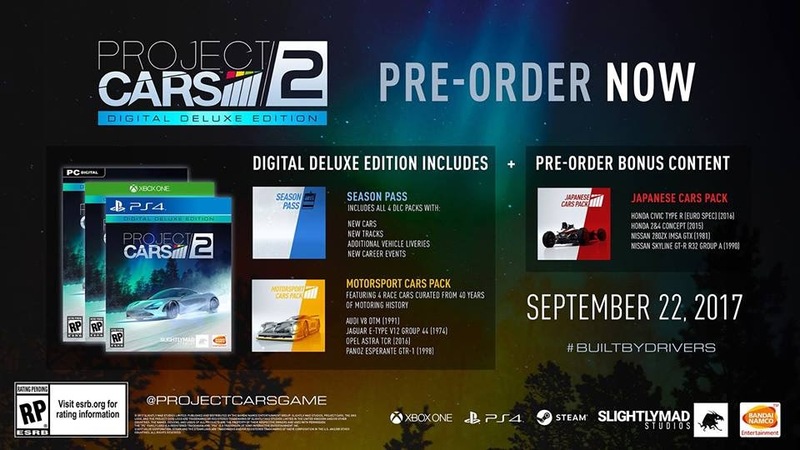 Project Cars 2 will Release on September 22 for the PlayStation 4, Xbox One and PC.